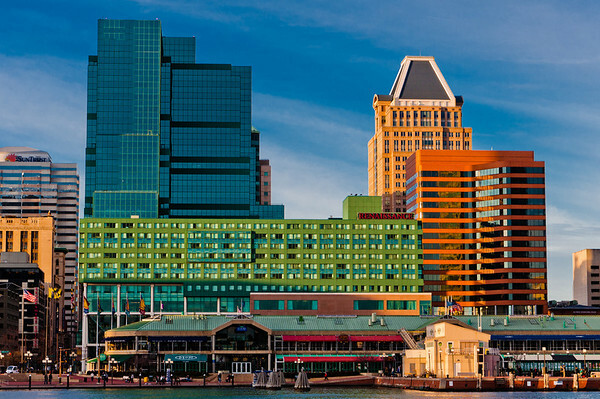 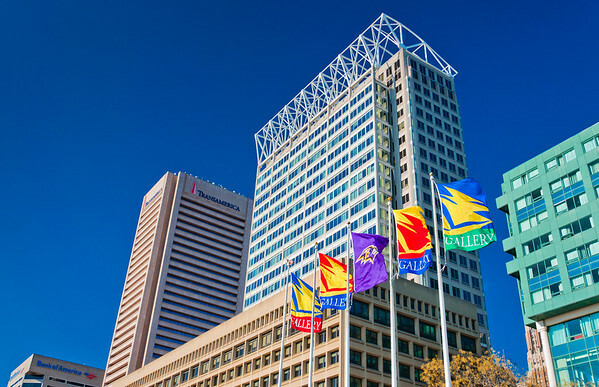 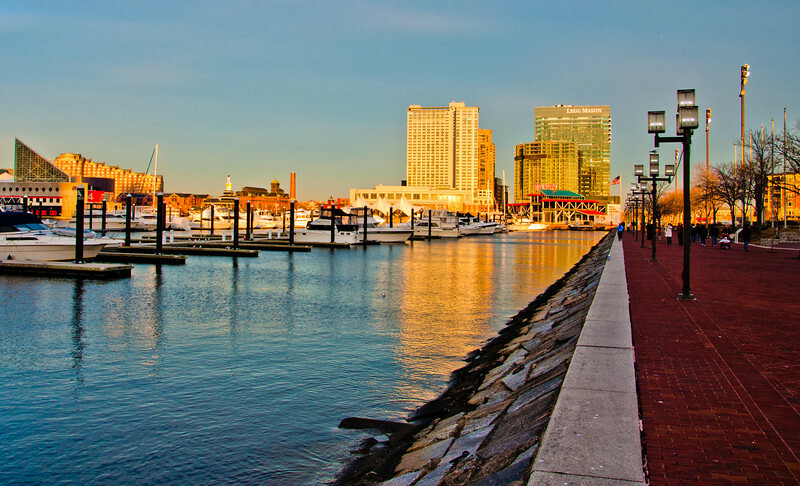 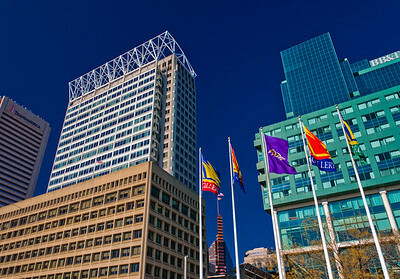 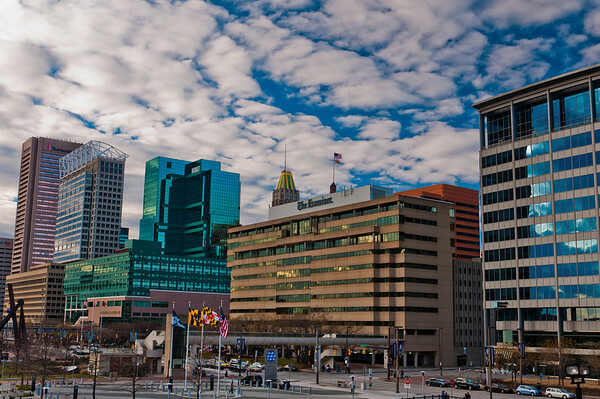 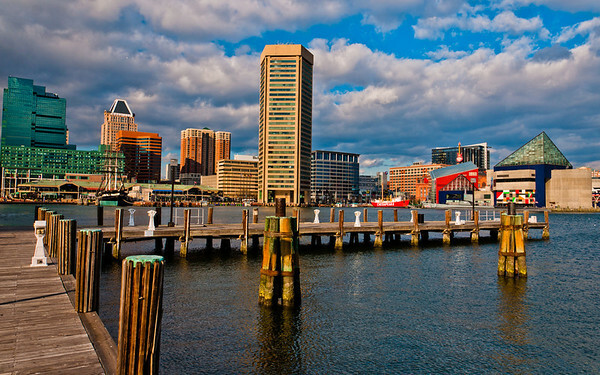 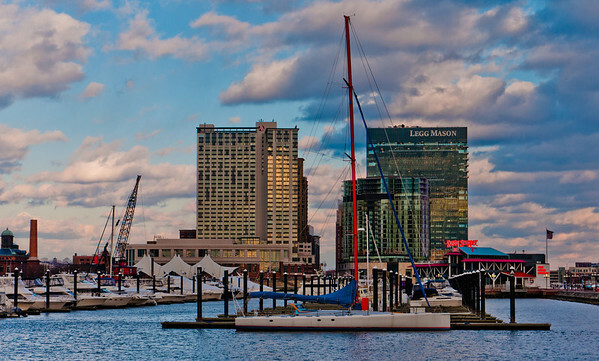 Afternoon view of the Baltimore skyline from a dock in the Inner Harbor. 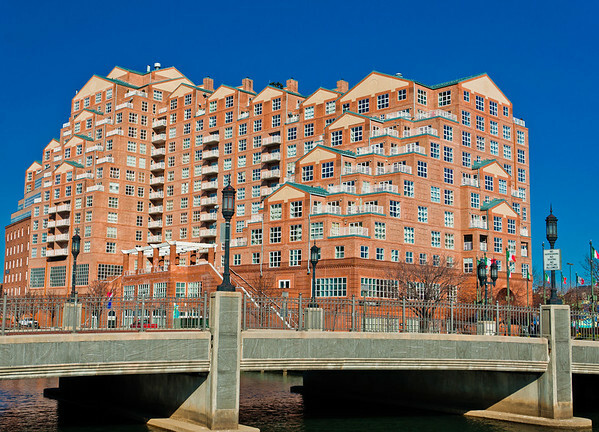 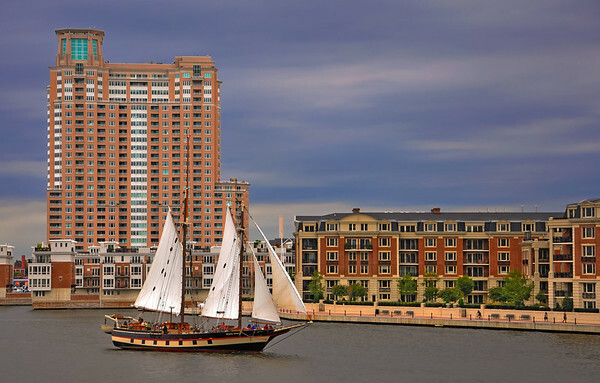 Apartment buildings and a sailboat seen in the Inner Harbor of Baltimore, Maryland. 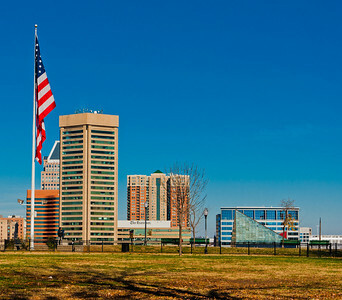 American flag and the Baltimore skyline, seen from Federal Hill Park, Baltimore, Maryland. 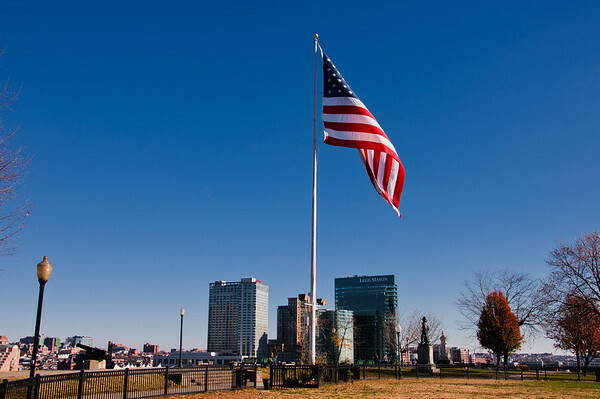 American flag and distant highrises, seen on Federal Hill, Baltimore, Maryland. 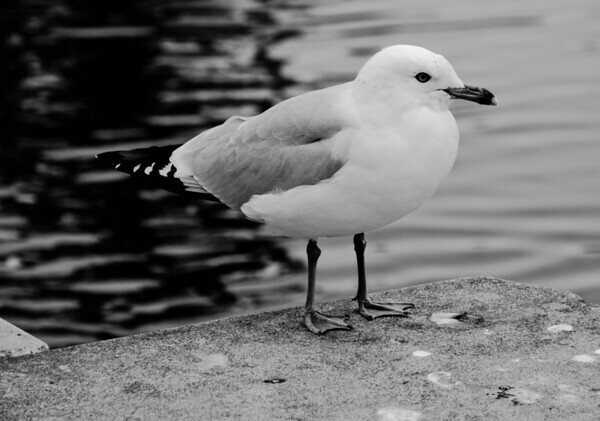 Black and white image of a seagull in Baltimore, Maryland. 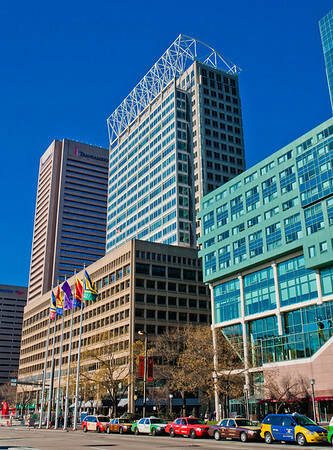 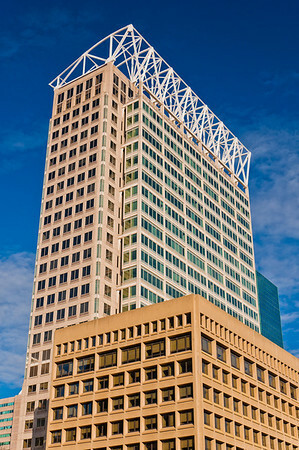 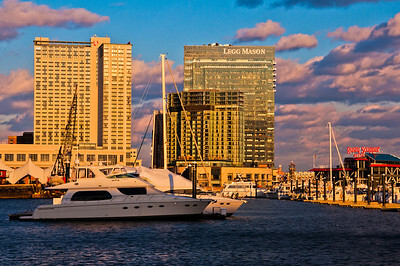 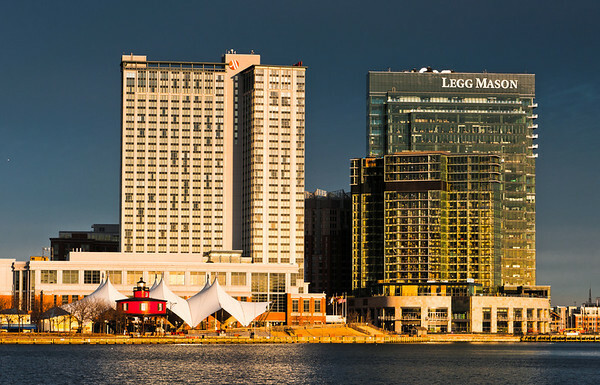 Boats and highrises in the Inner Harbor of Baltimore, Maryland. 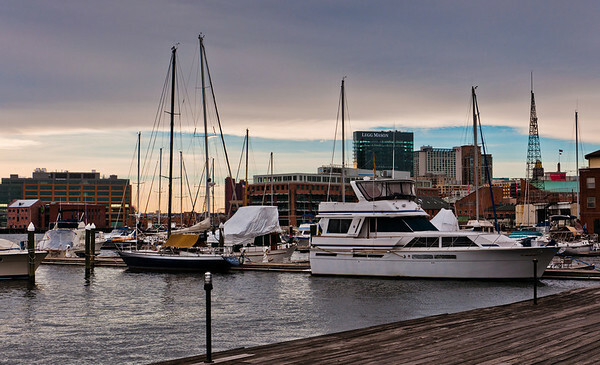 Boats in a marina in Fells Point, Baltimore, Maryland. 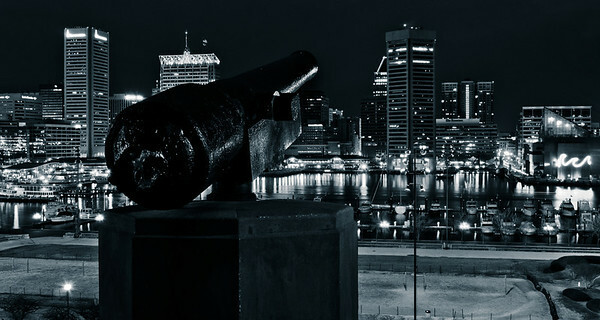 Cannon and view of the Baltimore Skyline and Inner Harbor on Federal Hill. 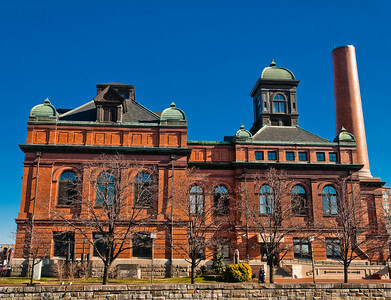 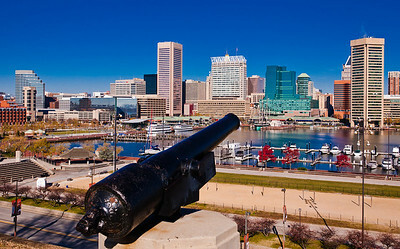 Cannon on Federal Hill, and a view of the skyline in Baltimore, Maryland. 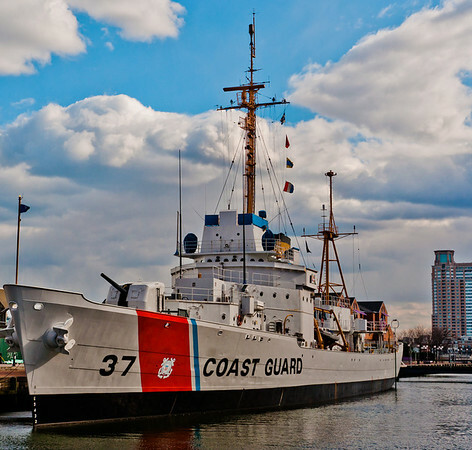 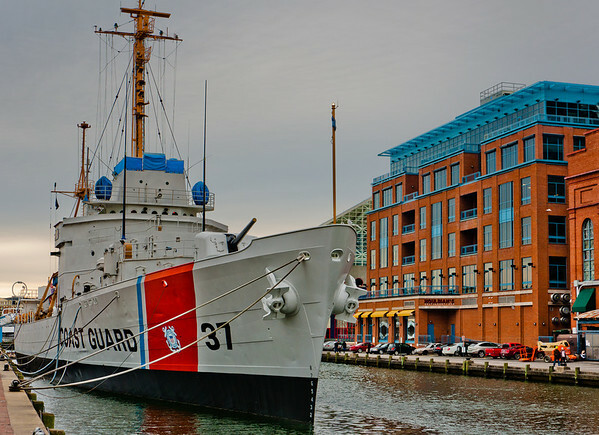 Coast Guard ship in the Inner Harbor of Baltimore, Maryland.